Due to the late rains all the rivers are in flood or too discoloured for fly fishing. In the north in the Phongola and nearby rivers which hold smallscale and largescale yellows the main fishing season is in winter anyway but it will take 3-4 weeks for them to clear. Further south many flyfishers tend to concentrate on the trout stillwaters but the Natal yellowfish or scalys can still be caught in winter using the right tactics. 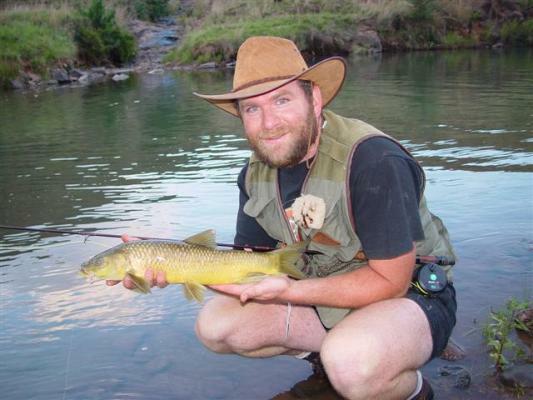 Carl Freese of Tugela Fishing Company (083 2260810) who guides mainly in the upper Tugela area reports that sight fishing is often good in the clear winter waters if one targets fish using small nymphs.